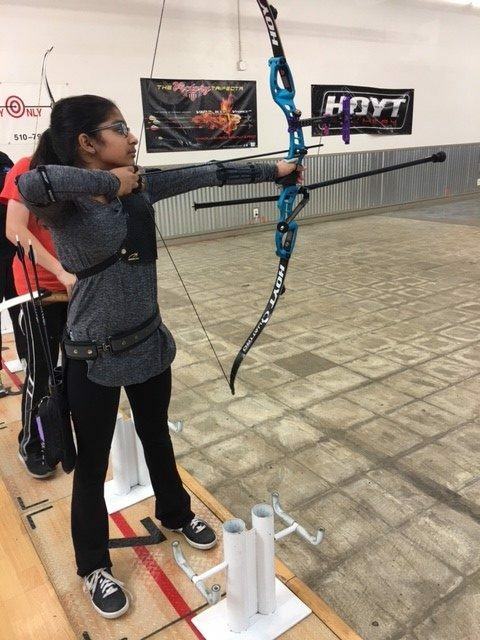 Last month, sixth grader Sarah Mohammed won a gold medal at USA Archery’s California State Indoor Competition, taking first place in the Bowman Women Recurve category. The event lasted two days, with each day consisting of six hours of intense competition. In the 2016 indoor competition, Mohammed took third and was ranked ninth at the national level. In February, Mohammed traveled to Las Vegas for the World Archery Championships, where she finished at a highly respectable fourth place in her division, which included competitors from all over the world. Later this month, Mohammed will head to the national indoor competition and state outdoor competition, with plans to compete at the international outdoor competition in the summer.